A native of Vancouver, Canadian violinist Alvin Tran is an active performer throughout North America. Comfortable performing solo, orchestral, and chamber music, Alvin is eager to bring music of all kinds to audiences around the world. He is a former member of the first violin section of the Boise Philharmonic and plays as an extra musician with the Vancouver Symphony Orchestra. 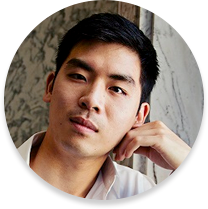 A passionate chamber musician, Alvin has been a member of the former Ezra String Quartet, in residence at Boise State University, and is a founding member and violist of the Crimson String Quartet (CSQ). The CSQ were finalists in the Jeunesses Musicales “2012 Concerts for the Grand Public Tour” competition. They have since focused on bringing chamber to the masses through three consecutive tours in Saskatchewan supported by the Saskatchewan Arts Board. They released their debut album Crimson Sunrise in 2012 and have recently released their first music video funded exclusively through crowd sourcing. Beginning his violin studies in Vancouver with Fidelma Cordick and Nancy DiNovo, he made his concerto debut at age 17 performing Bruch’s Violin Concerto in G minor at the Delta Youth Orchestra’s 35th Anniversary Concert. Alvin continued his education at the Schulich School of Music at McGill University as recipient of the Ethel Jamieson Ivey Award, where he obtained his Bachelor of Music Degree with Distinction and Outstanding Achievement in Violin Performance under the tutelage of Thomas Williams. He has recently graduated from Boise State University where he was a Graduate String Quartet Fellow. Alvin has participated in many summer festivals including the Marrowstone Music Festival, the Orford Arts Centre, le Domaine Forget, and the Boston University Tanglewood Institute. He has performed in master classes with, and received coachings from Alexandre Da Costa, Federico Agostini, James Buswell, Yehonatan Berick, Charles Castleman, and members of the Enso, Cecilia, Fry Street, Ying and Zemlinky string quartets. He has also studied chamber music with Mark Fewer and Douglas McNabney. An enthusiastic teacher of all levels, Alvin is a registered Suzuki teacher with training in Idaho. In his spare time, Alvin enjoys hiking, travelling, and cooking.